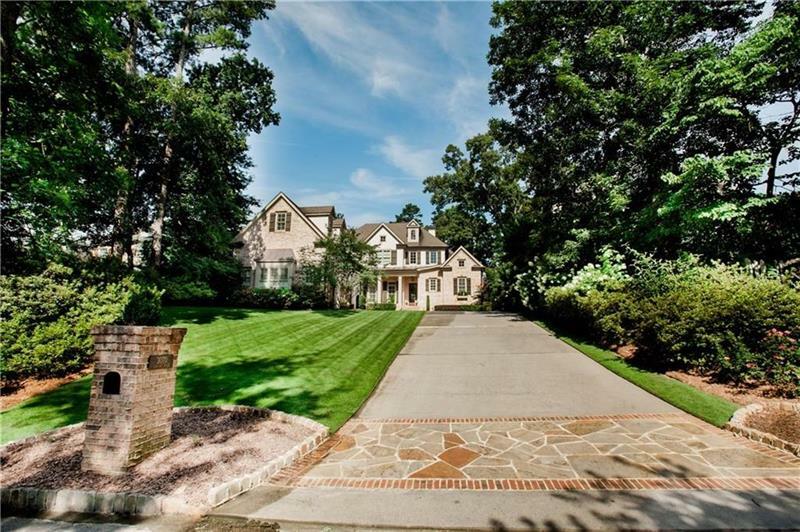 Beautifully designed & meticulously maintained home in sought after Brookhaven. Master on main w/second bedroom perfect for a nursery, office or guest room. 3 ensuites upstairs, one serving as a bonus room or large bedroom w/private entrance. Guest master suite on terrace level w/private entrance,walk in closet & spa like master bath. Terrace level features full kitchen w/all of the upgrades expected. Walk out from terrace level to your backyard oasis. Saltwater pool w/spa, pool house & outdoor kitchen, private bath & outdoor shower making it the perfect place to host. A representative from Metro Brokers has received your request to visit 3070 Lanier Drive on at .